Weather/Conditions: Middling kind of day, wet in the morning, breaking to sun later in the day. The previous day I'd been on Ben Wyvis in phenomenal winds, and stayed the night in Inverness with Ken MacTaggart. 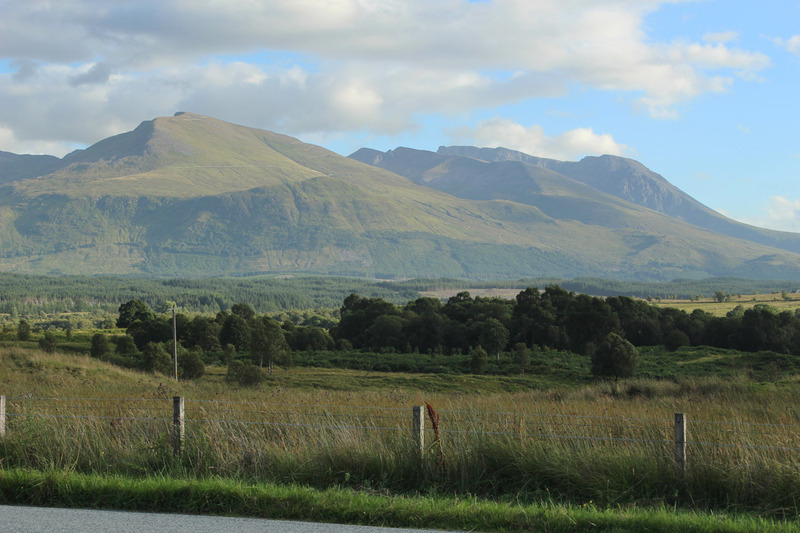 The following day I had a few plans; I had the entire Western Highlands to choose from. 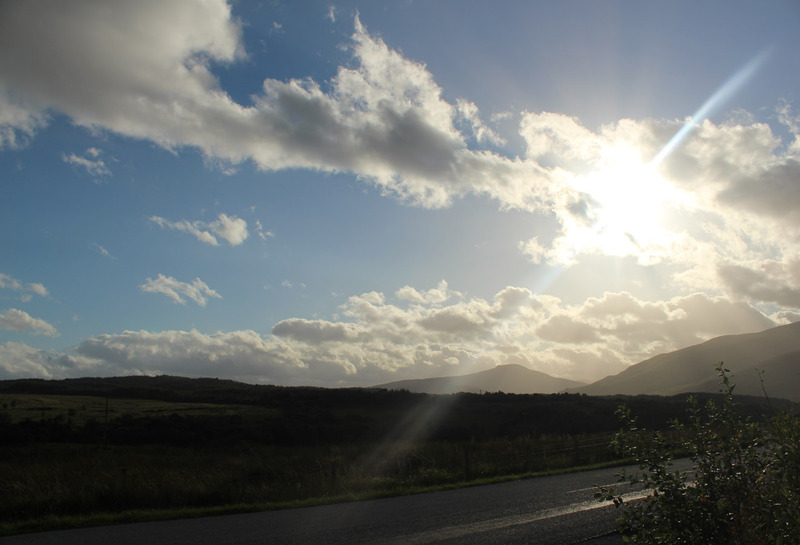 First thoughts had been a complete round of An Teallach, but with more mixed weather to the north plus a longer drive home, that plan was ditched. 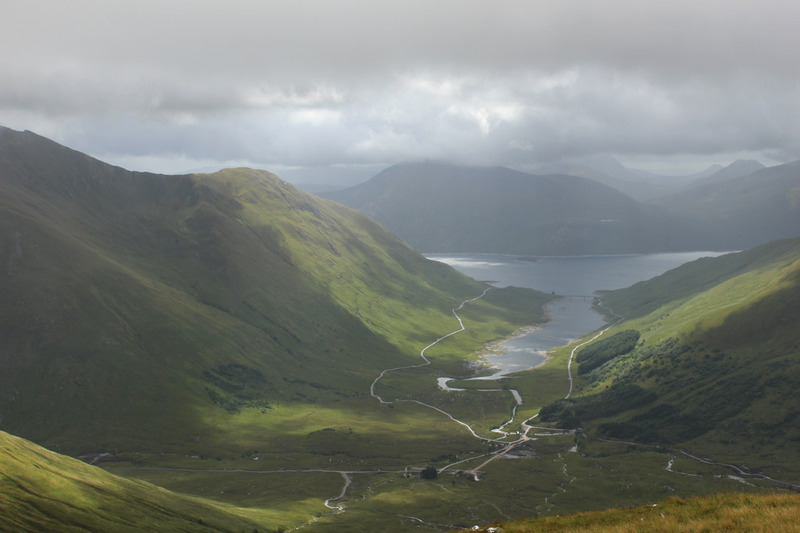 I thought about Glen Shiel; how about a traverse of both north and south ridges? I stocked up on food accordingly and drove there in the morning. 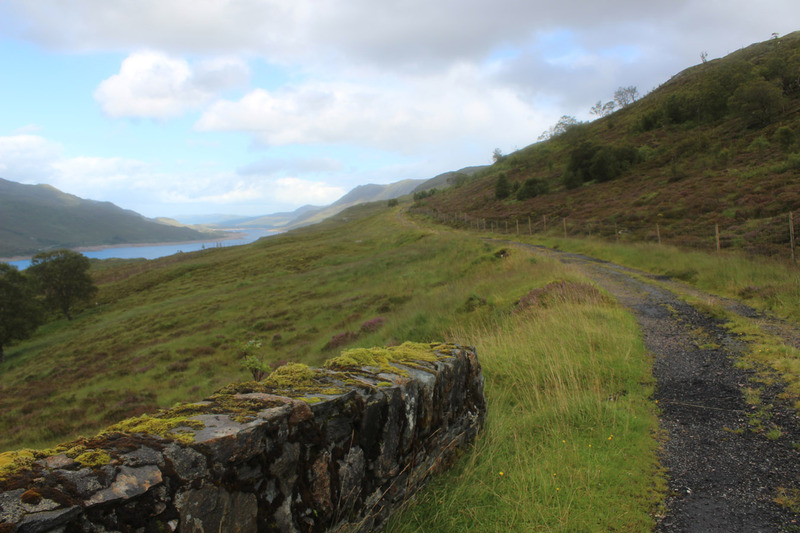 A couple things pulled me back from this more ambitious plan; it seemed to take longer than expected to get there from Inverness, the weather wasn't looking great, and I was tired too. The renewables work in Glen Moriston made the place feel like an industrial landscape rather than a natural one (it was all a bit depressing actually), and the Glen Shiel hills were under mist and high winds. 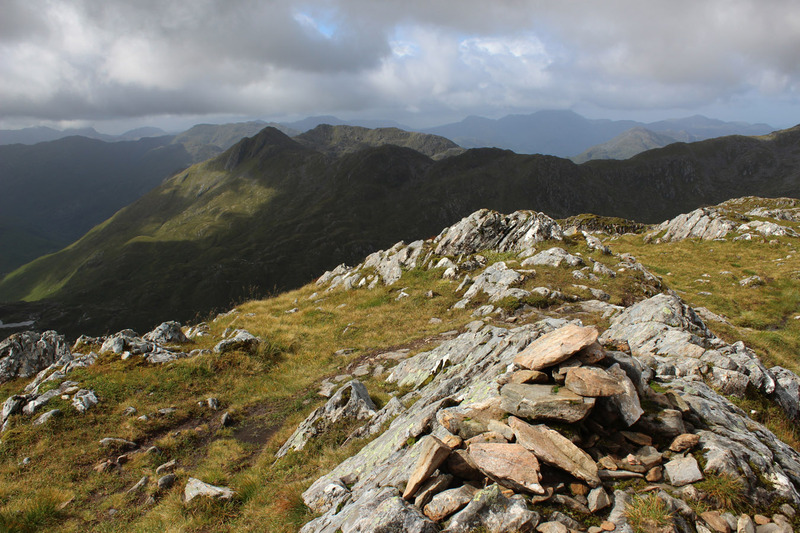 I decided that the South Shiel ridge would make a good goal for the day, and similarly to my 2013 crossing I opted for west-to-east to keep the wind at my back. At the car park I still felt little inclination to move, so went for a wander in the rain around the battlefield site. 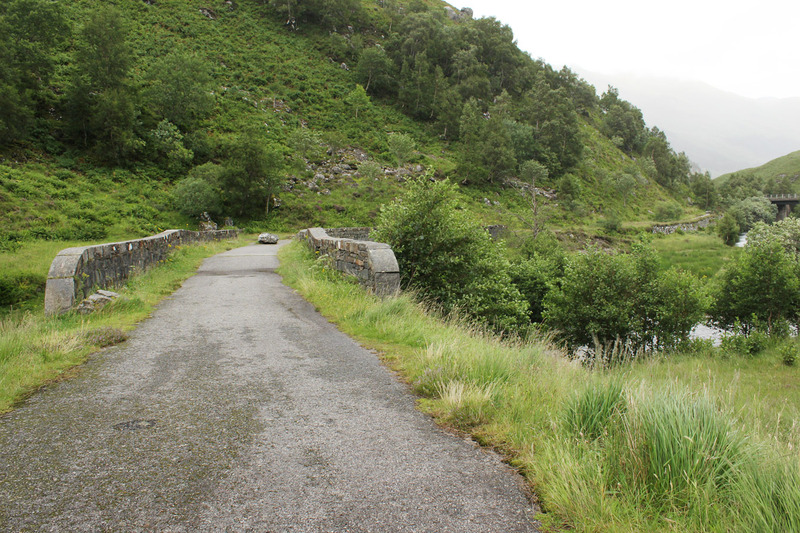 But I packed eventually and left the layby among coachload of tourists who had stopped by to the see the location. I headed up between the woods and river (the right way!) and up onto the hillside. Higher up, the bog dries out and the track goes into a coire. 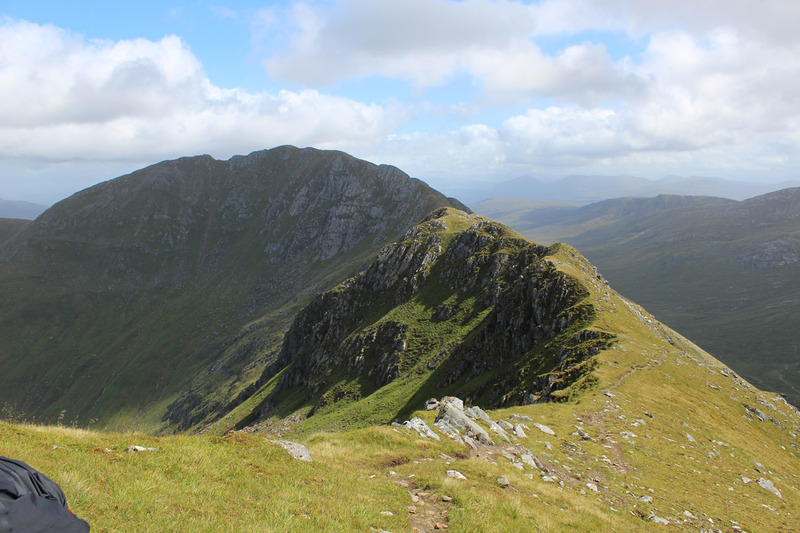 I headed up the broad south ridge leading onto Creag na Damh. A year or so previously, I'd been in touch with someone named Mike Cooper. 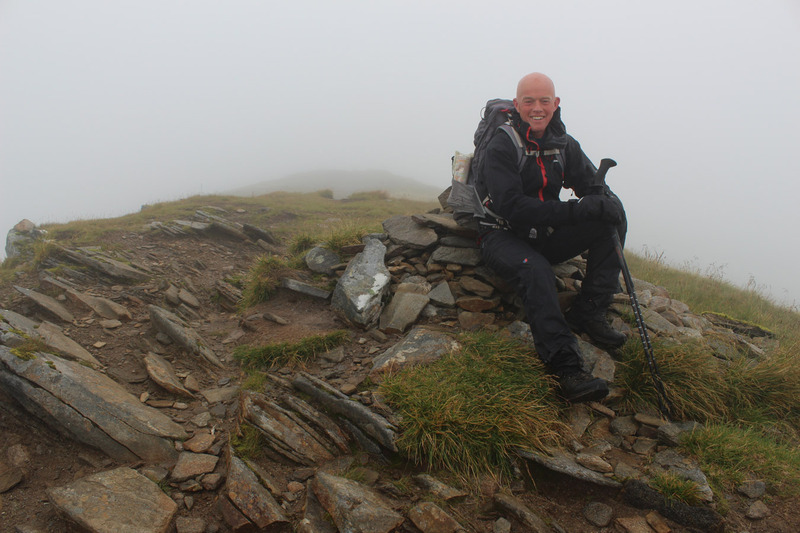 He'd emailed me as he was interested in climbing the Munros in a single season. I'd sent him a pile of information and we kept in touch briefly, but it went no further than that. I subsequently kept his plans in mind, wondering if he ever went for it. 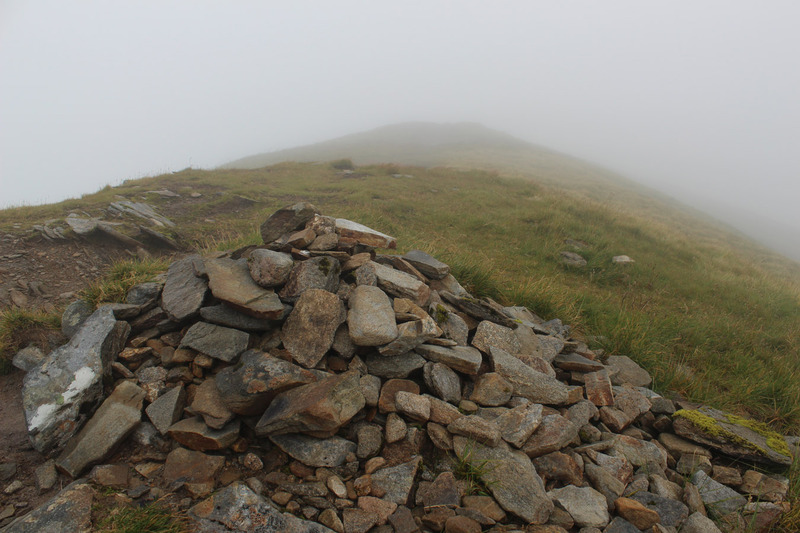 And now today on Creag na Damh, I was a hundred metres short of the summit when I bumped into someone. 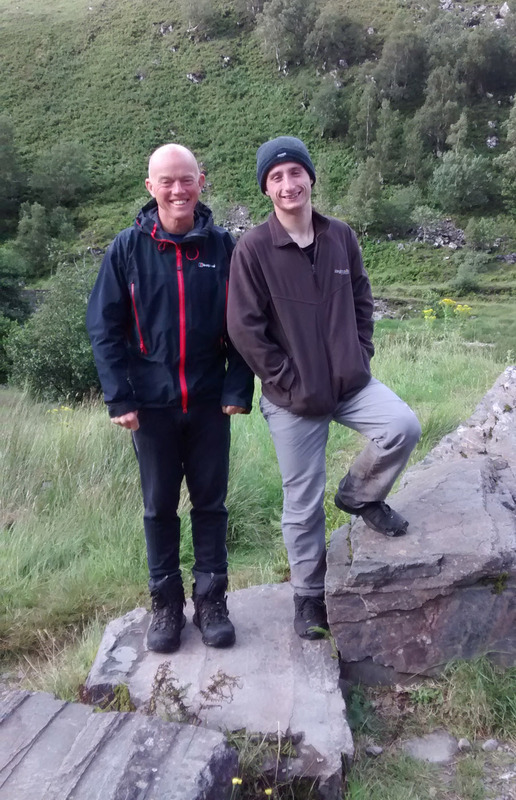 We both established we were doing Munros, we traded names, and then the penny dropped; I was speaking to the Mike Cooper I'd been in touch with the previous year. By complete utter coincidence, we'd ended up on the same mountain, at the same time on the same day, and were both about to begin the South Shiel Ridge. The fact was I'd had the entire western Highlands to chose from and ended up here. That is freakish. That's an incredible coincidence, kind of like it was meant, if I believed in such things as fate. 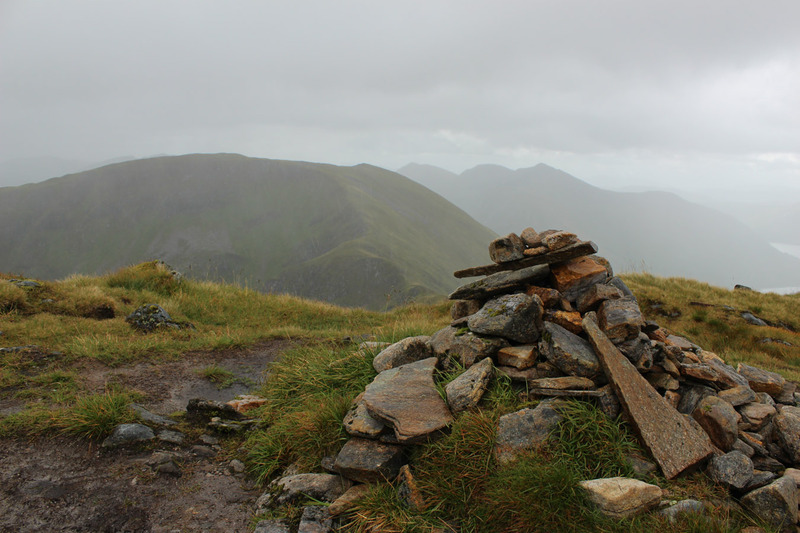 I nipped to the summit of Creag na Damh myself and from thereon we continued along the Shiel ridge together. We weren't short of things to talk about. He was on 222 if I remember right and had just a few weeks left on the road. 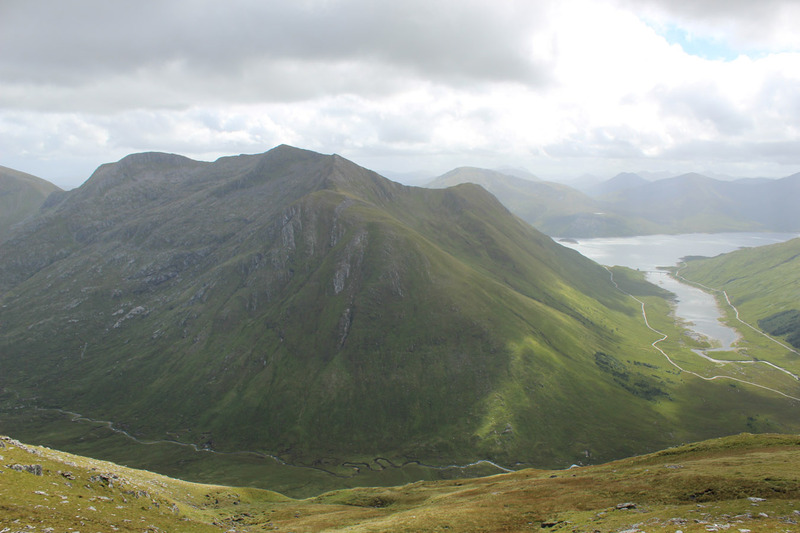 We continued over Sgurr an Lochain and Sgurr an Doire Leathain, two hills whose summits were essentially confined to cloud. I've still to get a view from the latter. Beyond here it began to brighten up. 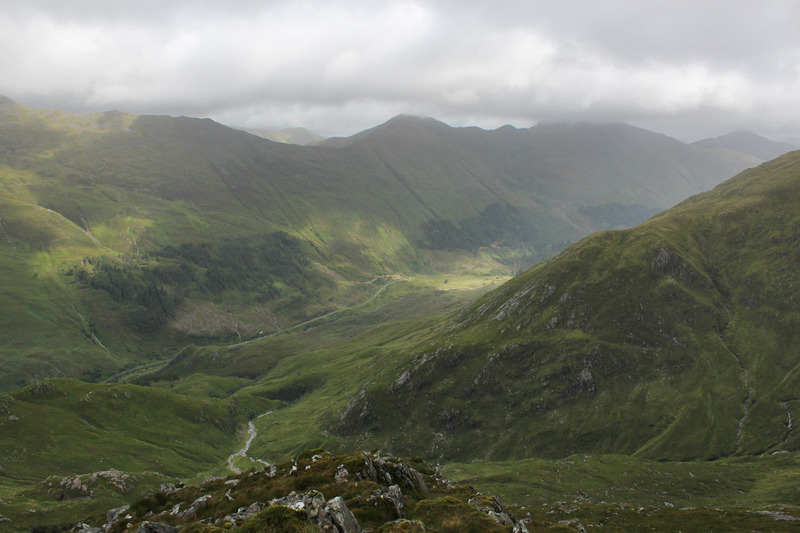 We stoped for lunch mid-way on the ridge and by the time we were on Aonach air Chrith the sun was making an appearance. I've always loved the western sweeping arms of Gleouraich from here; they drop so abruptly to the northern inlet of Loch Cuaich. Alltbeithe is looking a bit of a mess though. Druim Shionnach and Creag a' Mhaim are a gentle end to this ridge and I ended up racing the weather to the latter to get a summit panorama. But the rain beat me to it; no pano today. I must come back here in really stunning conditions, because I've always had dodgy weather on the South Shiel. 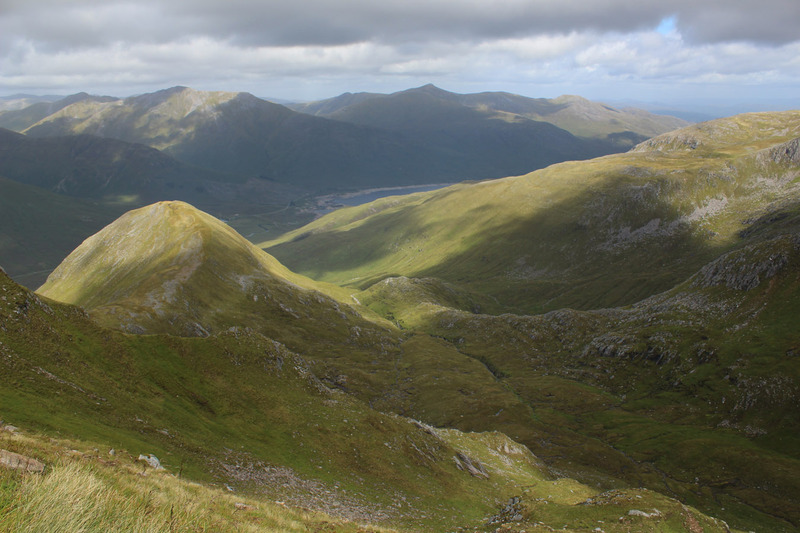 We dropped direct off the ridge to the north then down to the Drochaid an Uillt Ghiubhais. The sun broke out for the walk back, and midway along the track Mike's partner (whose name I forget sorry!) came to meet us. Mike mentioned he was about to head north to the hills of Mullardoch. That's always a demanding trip. 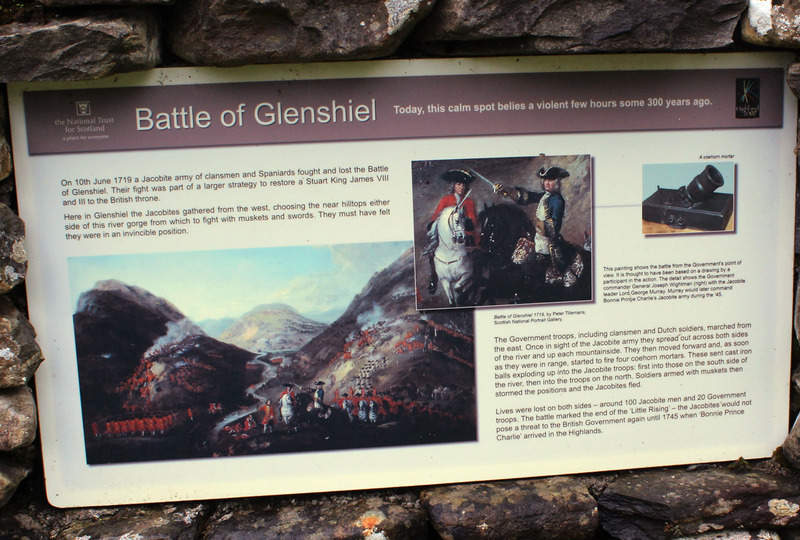 They were kind enough to give me a lift back to my car at the foot of Glen Shiel and I drove home to Glasgow thereafter. A month or two later I got an email from Mike saying he'd finished the round. What an incredible conincidence, and a special moment when the world seems very small indeed.